Students take notes at the Center for Hispanic Marketing Communication’s LinkedIn Workshop in February. 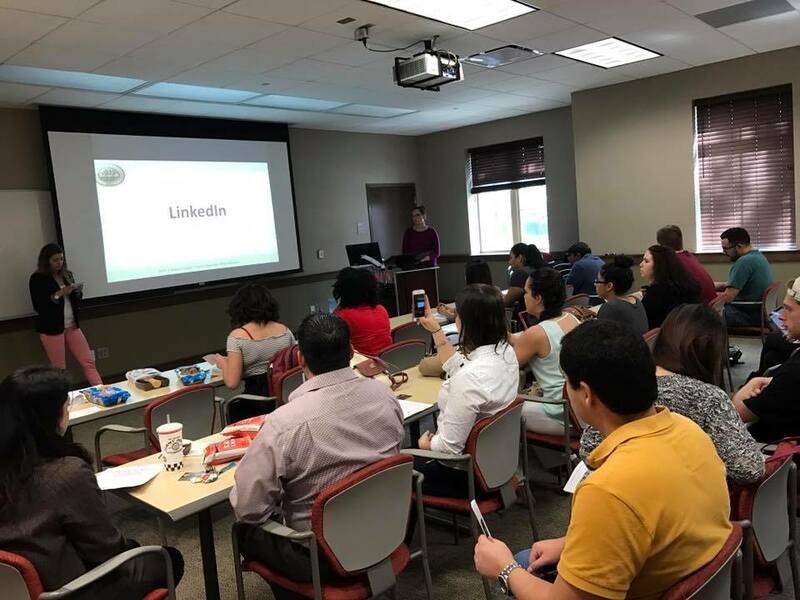 Tallahassee, Fla. — The Center for Hispanic Marketing Communication (the Center) is holding a workshop this week to help students learn how to maximize their LinkedIn profile and improve their job prospects post-graduation. The workshop will be held at Florida State University’s (FSU) Center for Global Engagement in room 2600 on February 24 at 1:30 p.m.
Kate Herron, Assistant Director of Experiential Learning for the FSU College of Information and Communication, will be the guest speaker for the event. Herron will be giving her expertise to give students the tools they need to stand out on the social media platform – and for good reason. According to Forbes Magazine, 97.3 percent of employers said they use LinkedIn as a recruiting tool. Due to low usage on the platform among Hispanics, The Center created the event to serve students pursuing the Hispanic marketing certificate as well as the minor. According to the Pew Research Center, research in 2014 concluded that Hispanics account for only 18 percent of LinkedIn users compared to 28 percent for blacks and 29 percent for whites.